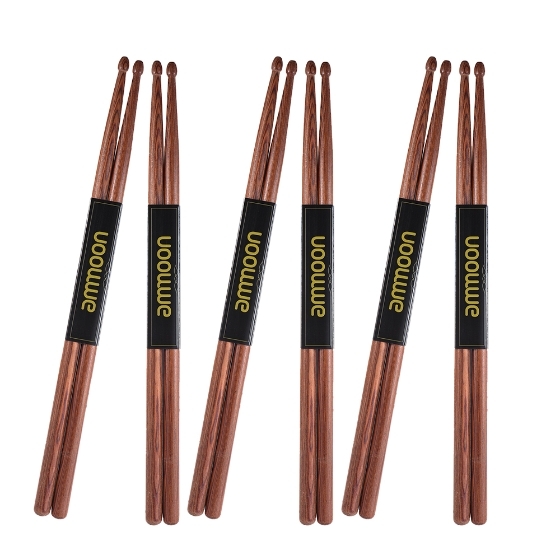 Standard wooden drumsticks, 5A/7A for options, 3 pairs/ 6pairs in pack for options. 5A: Length=16 inch/406mm ,Diameter=0.59 inch/15mm; 7A: Length=15.5 inch/394mm,Diameter=0.55 inch /14mm. 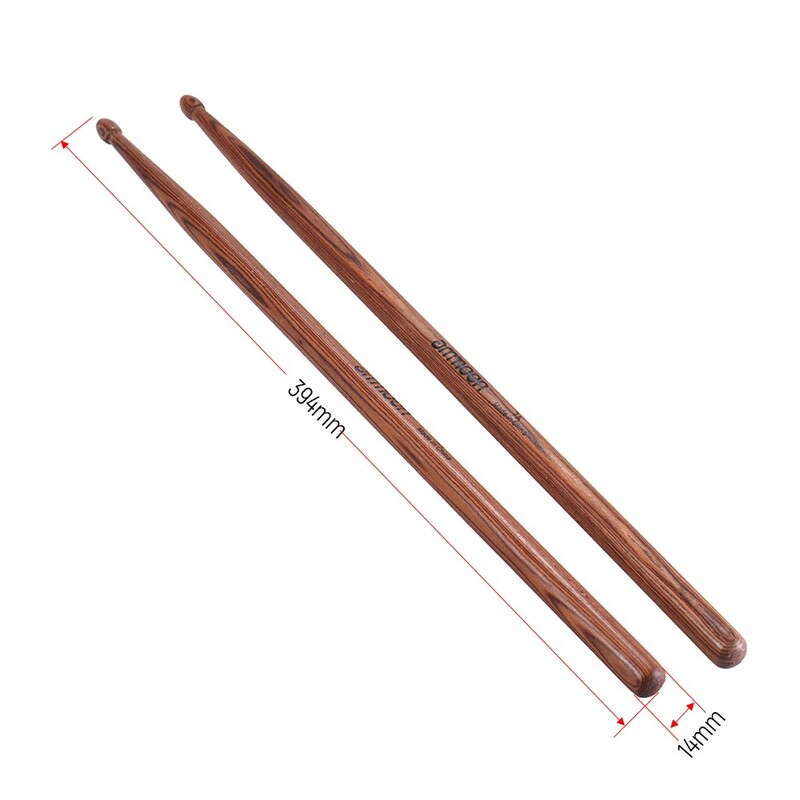 High-quality maple Mahogany material, which is the very popular wood choice for drumsticks due to its resilience, responsiveness and classic feel. 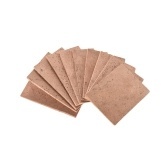 Natural finish with smooth surface, comfortable and slip resistant, perfect for youth rock bands and drummer playing. Light and fast 7A drumstick is suitable for jazz orchestral pit work, while 5A's medium taper is for perfect balanced response and rebound. 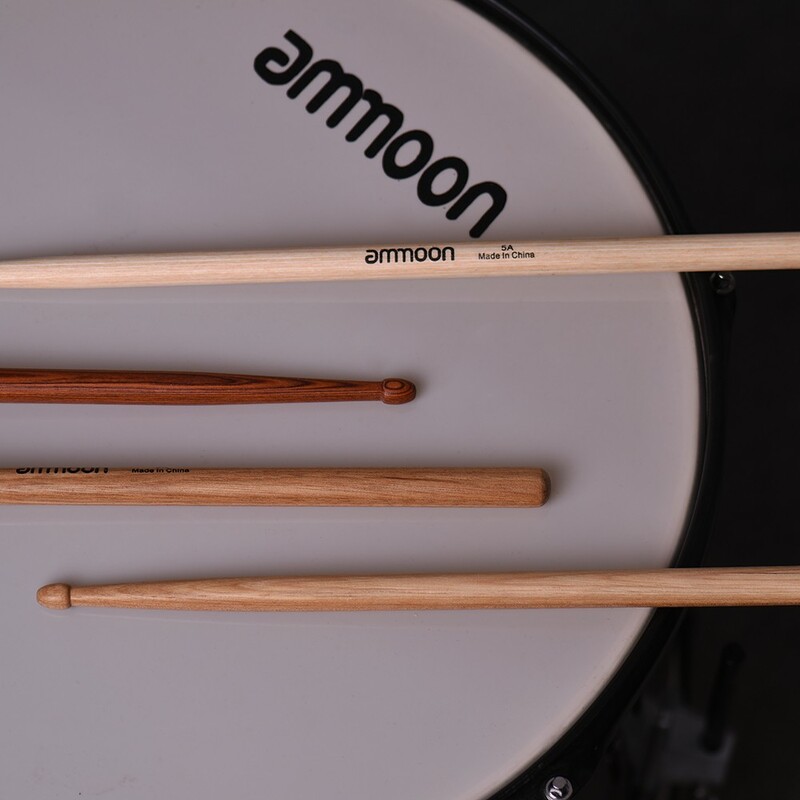 The thickness of drumsticks also changes the sound. Higher numbers represent thinner sticks, so a 7A is thinner than a 5A. 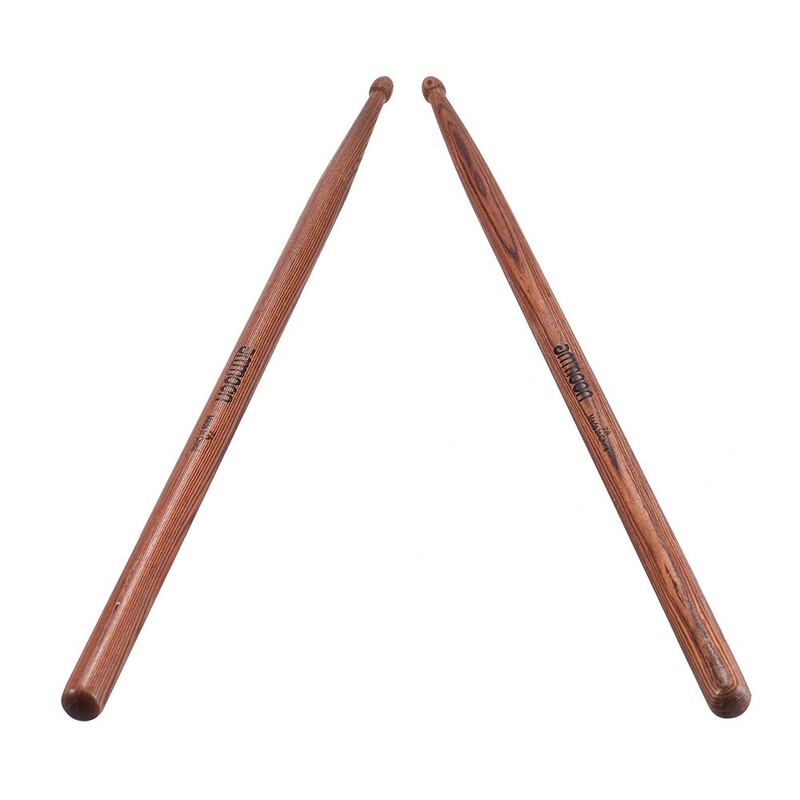 7A drumsticks are thinner and lighter. They will sound sweeter on drums and cymbals and is best for lower volume playing. 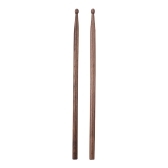 5A drumsticks are slightly thicker than the 7A. 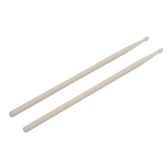 They are generally considered to be the most generic and versatile drumstick. 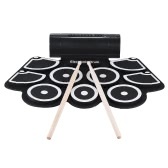 These were perfect for my son for his WII rockband since he loses them and the price was great as well as the quality.